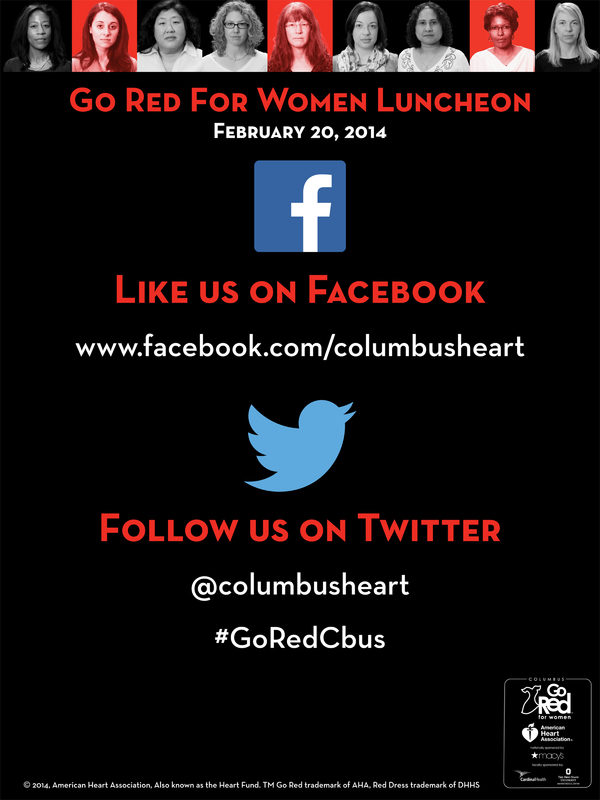 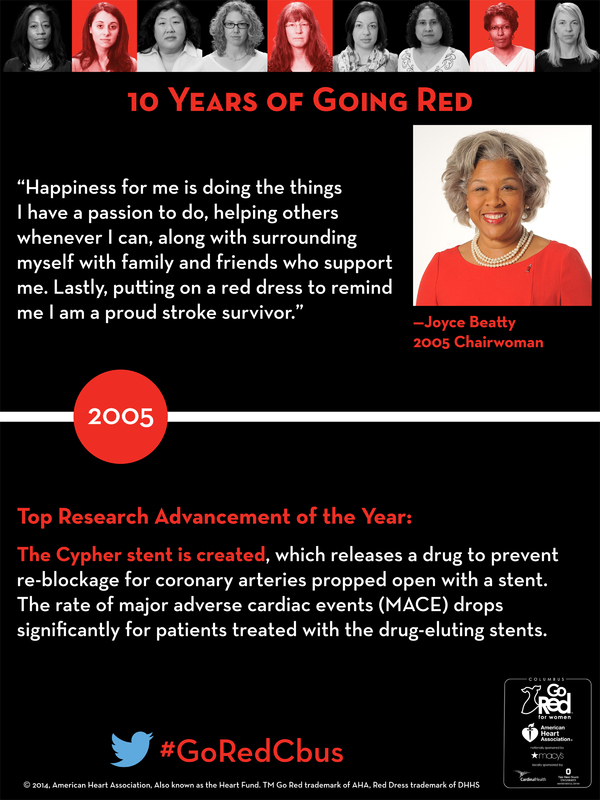 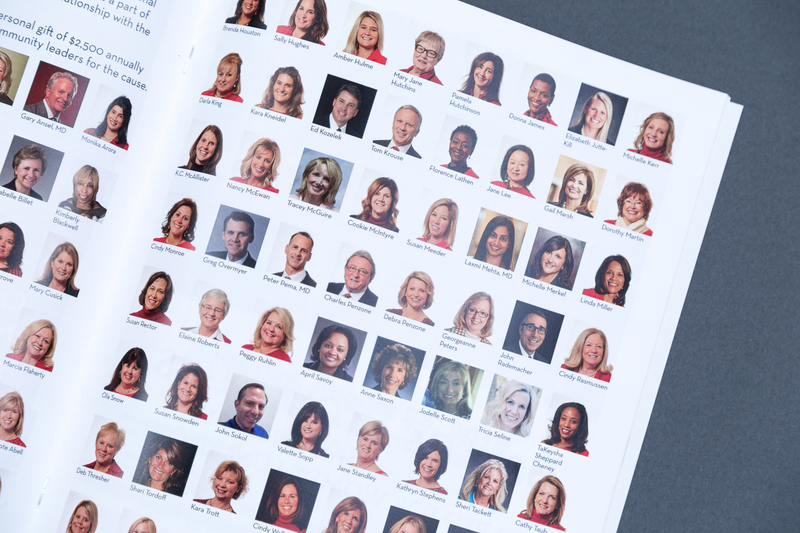 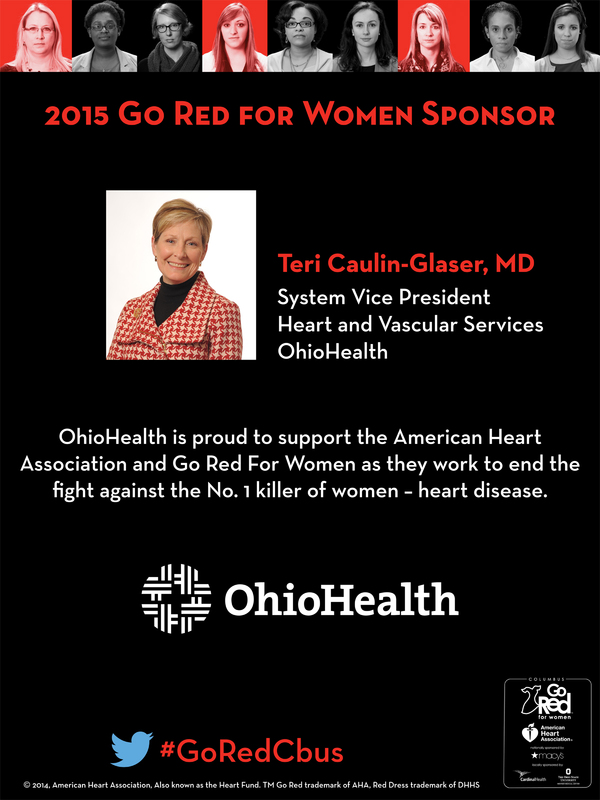 To celebrate the 10th anniversary of the Go Red for Women Luncheon in Columbus, the American Heart Association chapter wanted to focus on very bold messaging and have an eye-catching campaign. 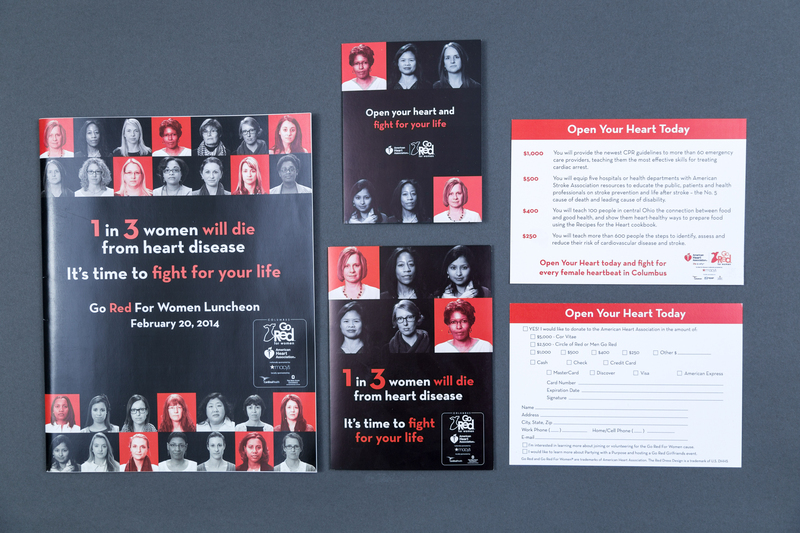 Based on the information we discussed in our initial meeting, I developed the 1 in 3 campaign for the materials for the luncheon which focused on the danger that women face from heart disease and stroke. 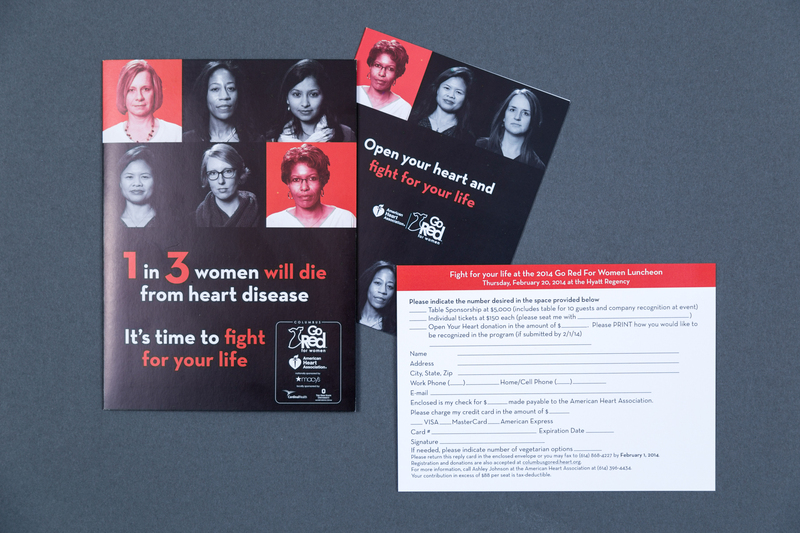 I helped write the copy for the campaign and took a lead on art-directing the portraits of the models which represented a wide range of ages and cultures, to show that heart disease can affect every woman. 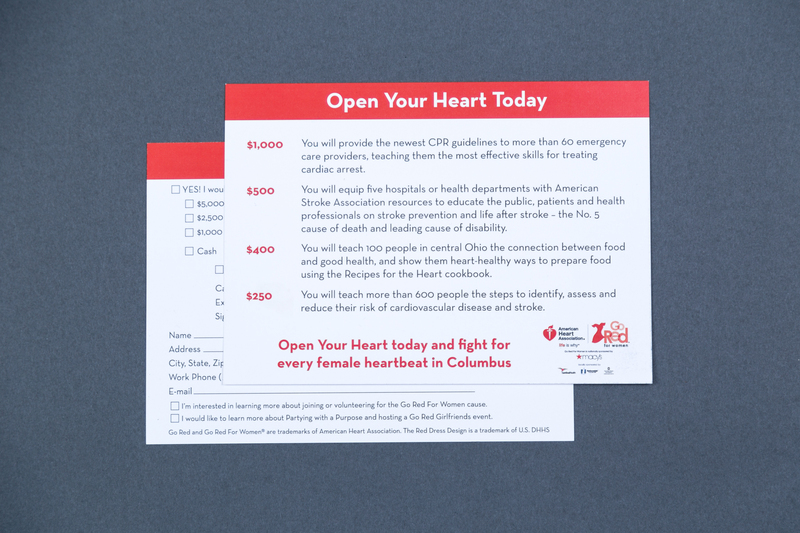 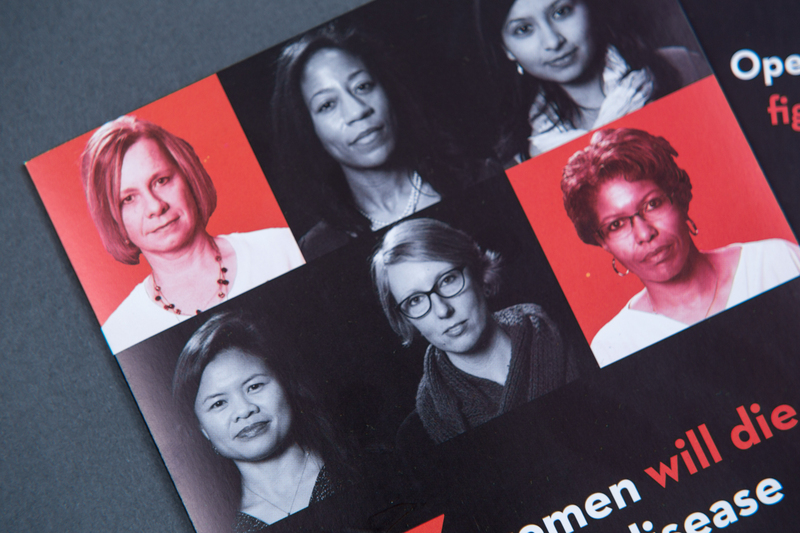 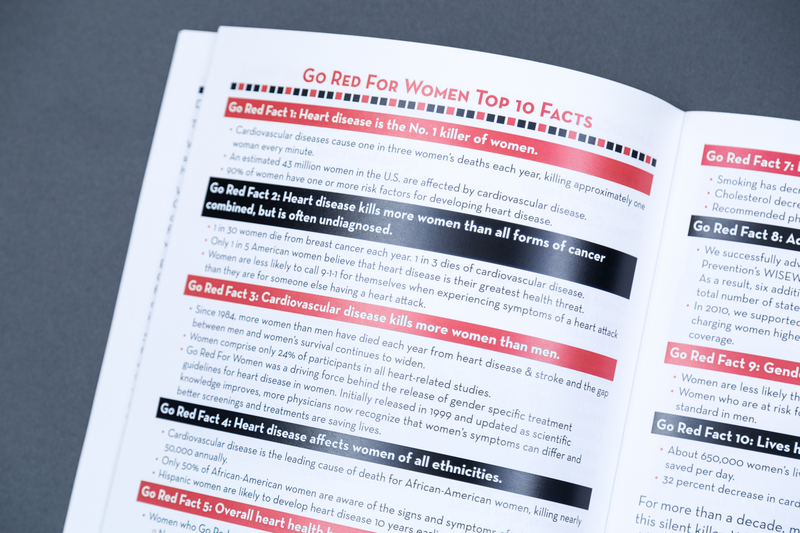 By representing 1/3rd of the models as having “died” with the red tint, it made the viewers of campaign materials reflect on how high a percentage can be affected and feel the urgency to promote research and education in the community. 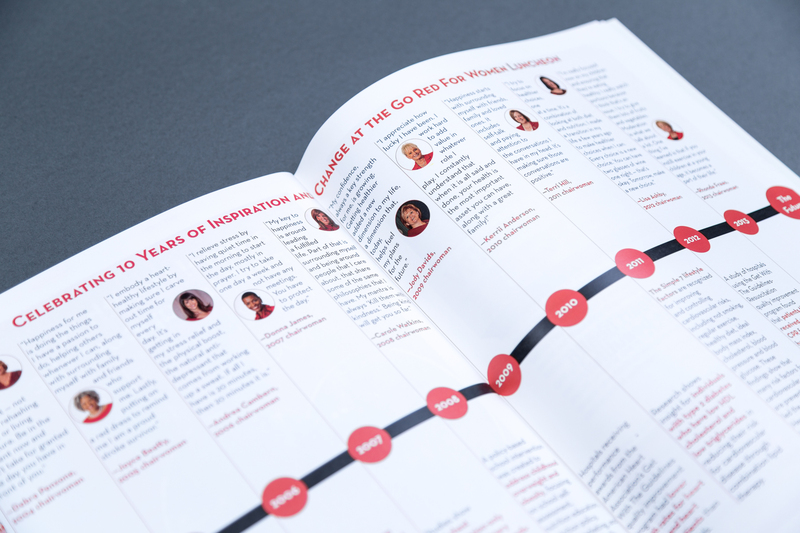 I also created a timeline for the program and signage to illustrate the history of the event and celebrate research advancements for each year. 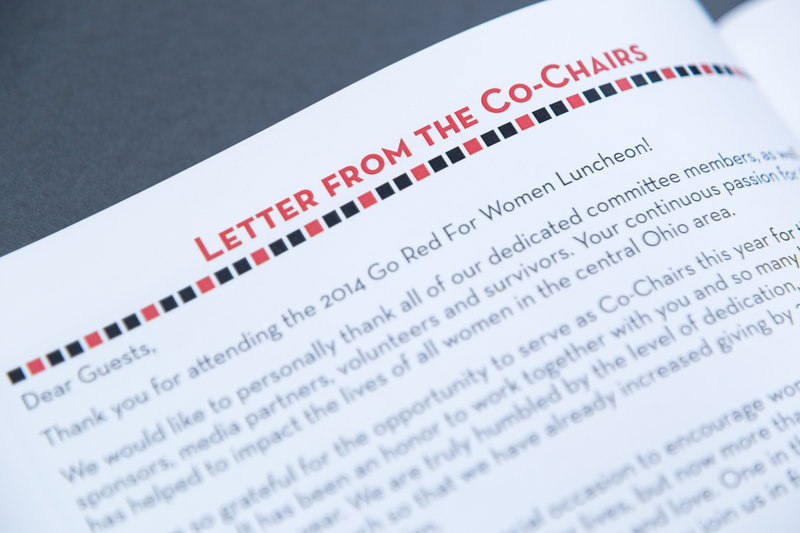 I applied the theme across all of the materials for the luncheon, which included a multi-part invitation suite, a 44 page program booklet, dozens of signs for display at the event, a powerpoint template for presentations, a donation card, and public service announcements across a variety of print publications and websites. 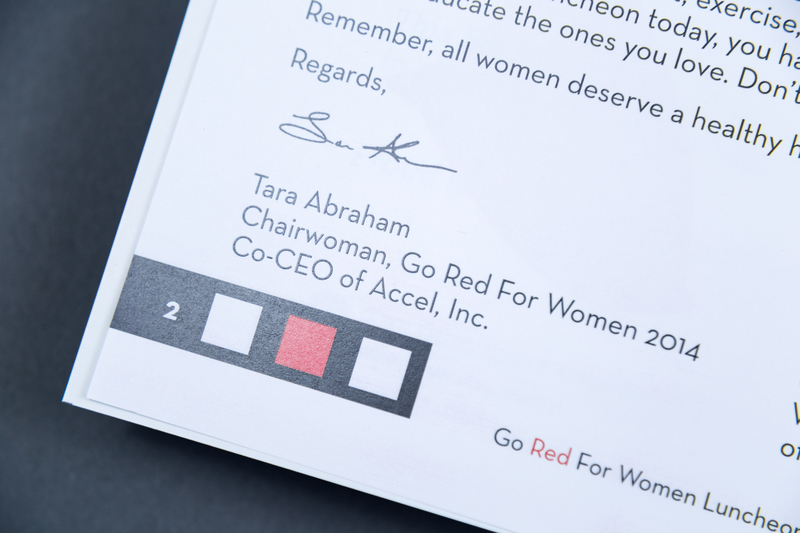 The materials often required balancing different combinations of sponsor logos and advertisements as well as meeting the requirements of a large team of individuals responsible for the event. 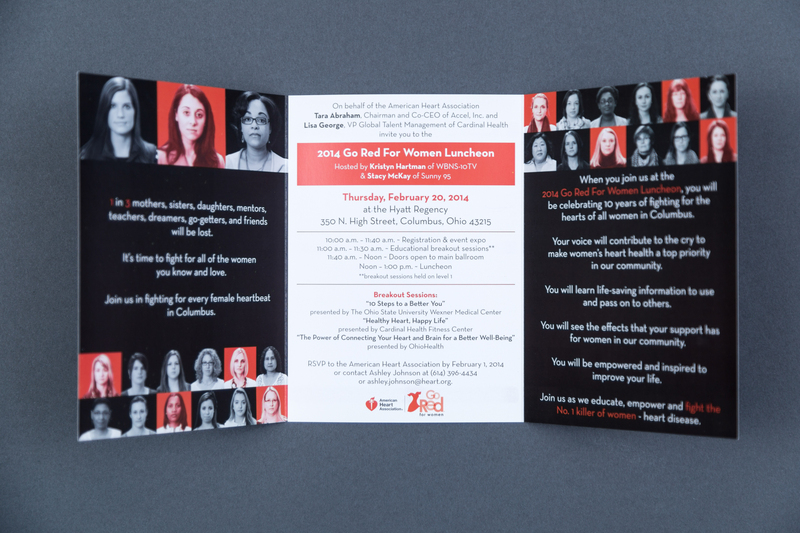 I also worked directly with the printer on behalf of the client for the invitations, signage and booklet and the advertising representatives of newspapers and magazines for the PSAs. 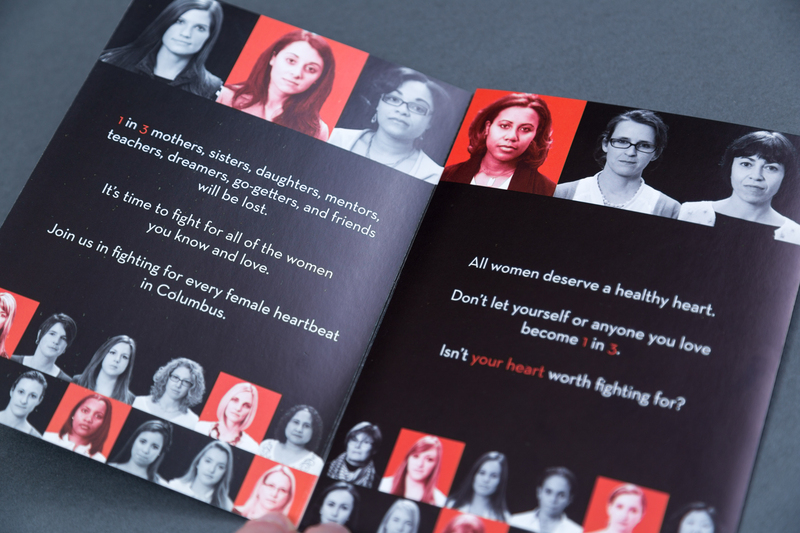 The result was a cohesive campaign that was memorable and moving and reflected through all parts of the event. 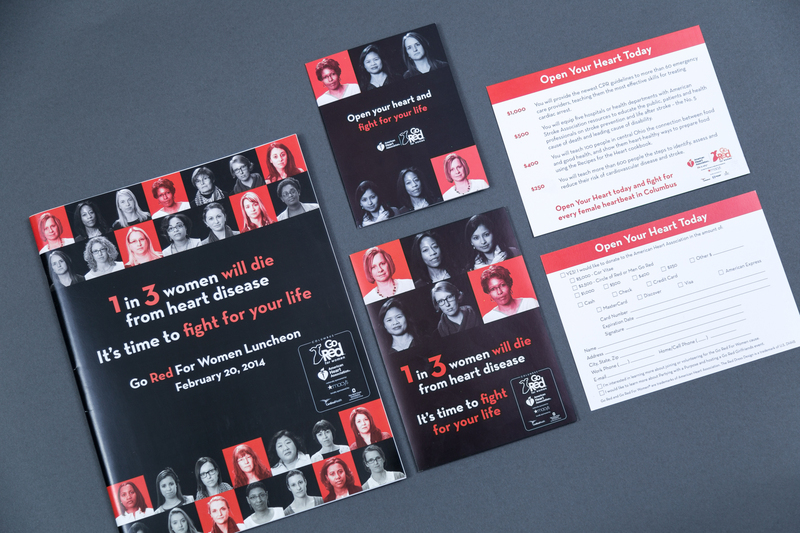 For a more detailed look at the design process and how it addressed the issues the client faced, check out the case study.